PHNOM PENH, Cambodia (12 Nov. 2018) – WT President Chungwon Choue delivered a ‘taekwondo development fund’ to Hang Chuon Naron, president of the Cambodian Taekwondo Federation in a ceremony in Phnom Penh, Cambodia on Nov. 10, 2018. Dr. Hang also serves as minister of education, youth, and sport. 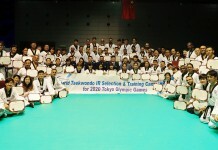 “We will continue to support the promotion of taekwondo in Cambodia,” said WT President Choue. 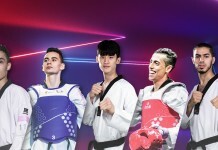 In the afternoon, the WT president attended the opening ceremony of the 2018 Cambodia National Taekwondo Championships, which kicked off on Nov. 9 for a four-day run at the Booyoung Khmer Taekwondo Center. There was a children taekwondo demonstration at the center, which was built by Korean company Booyoung in 2012. A day earlier on Nov. 9, WT President Choue met with Cambodian NOC President Thong Khon, who also serves as minister of tourism, at the latter’s office to exchange opinions on how to develop taekwondo in Cambodia. 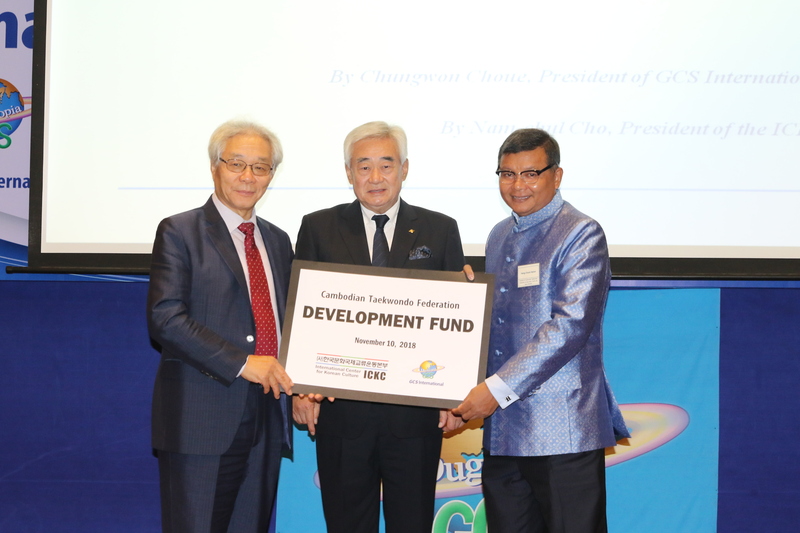 The taekwondo development fund was delivered by WT President Choue, who also serves as president of GCS International, and Cho Nam-Chul, president of the International Center for Korean Culture (ICKC), to Cambodian Taekwondo Federation President Hang during the 2018 GCS International Convention held at Phnom Penh Hotel in downtown Phnom Penh. The development fund was raised mostly by the donation from the ICKC to GCS International and proceeds from the 2018 Jeju World Peace Walkathon last July on Jeju Island, and the 2018 Charity WT Demonstration on Ilsan Beach in Ulsan, Korea last August.